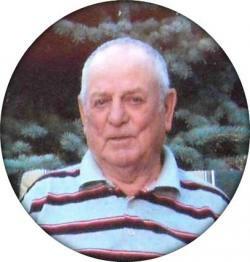 Roderick David Anketell, 88 of Wheaton Settlement passed away Friday, January 11, 2019 at the Moncton Hospital. Born at O'Neils, Indian Mountain, he was the son of the late Roderick and Georgina (Horsman) Anketell. Roderick worked in Telecommunication at CNR until retirement and was a past member of the Royal Canadian Legion Branch #31, Salisbury. He enjoyed his hobbies, travelling and loved working with his sawmill and planer. He is survived and sadly missed by his wife Miriam (Cochrane); daughters Barbara Thorne of Cambridge Narrows and Phyllis Edgar (Danny) of Salisbury; son David Anketell of Cambridge Narrows; sisters Beulah Parker of Stoney Creek, Eileen Dysart of Burlington, ON and Jennie Haney (Jack) of Edmonton, AB; brother Owen Anketell (Joan) of Riverview; eight grandchildren; sixteen great grandchildren and several nieces and nephews. Besides his parents he is predeceased by sisters Juanita Carter and Evelyn Cormier; grandson Bradley Thorne and son-in-law Johnny Thorne.